I have a 2007 Toyota Yaris with Blue and Brown Wire in D3 no A21 pin 40. What am I supposed to do with wire coming from ECM A21 pin 40? Also, where can I get a Cruise Control Indicator Module? Does CTScott still have some available or is their a wiring diagram that I could build one myself? 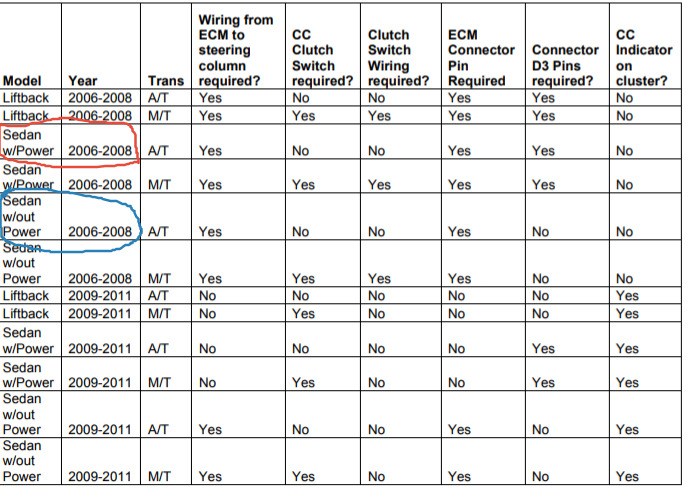 Ok, I looked up the electrical drawings for cruise control. D3 goes to AD4, which is a connection between harnesses, and on the other side of the harness connection their is no wire coming out to pin 40 on A21. I got extra repair terminals, so I will put a terminal in the empty side going to pin 40 and solder it to the repair terminal I install in pin 40.
w/power and w/out power means?